Porsche is putting the final touches on a mid-cycle update for its Macan and a new video out hints at some of the upgrades we can expect. The updated Macan is due later this year as a 2019 model, and according to information in Porsche’s teaser video below we’ll be treated with improved performance, particularly in the powertrain department. Porsche isn’t only planning tweaks to existing powertrains; rather, the automaker plans a “new generation” of powertrains with “plenty” of power. Currently, the Macan offers power outputs ranging from 252 to 440 horsepower, with the latter generated by a twin-turbocharged V-6 in a Macan Turbo equipped with a Performance Package. There aren’t any specifics on performance in the updated Macan but we can expect improved acceleration and top speed in most models in the Macan family. Unfortunately, a hybrid option is no longer expected in this generation of the small SUV. 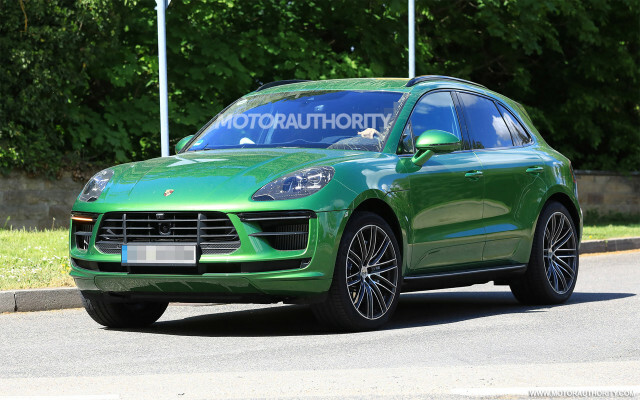 What else do we know about the updated Macan? Spy shots revealing part of the cabin confirm the interior has also been tweaked, with a new infotainment screen and controls added. The system should be similar to the one that debuted in the 2017 Panamera. Look for a debut in the coming months. An appearance at the 2018 Paris auto show in October is a strong possibility. Is Samsung getting serious about robotics? TechCrunch is at E3! But why?